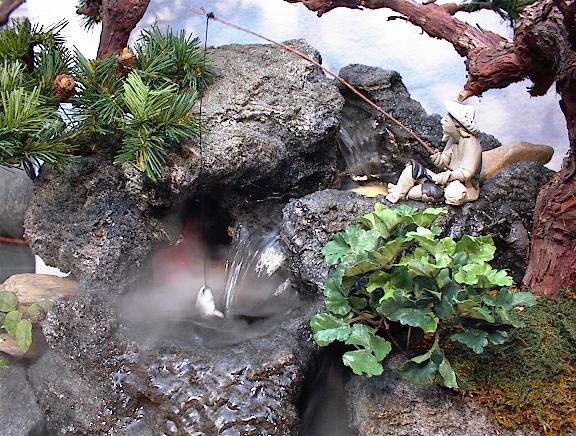 This highly detailed fisherman makes a great accent to any fountain. Each fisherman comes with a pole(that we make) and a fish. Yes it can even get wet. We like to position our fishermen so that the fish dangles in the waterfall. We do this so that our specially made poles and fish start bobbing to create the illusion that he just caught a fish. What a great animation for any fountain. This Medium fisherman is only 2 inches tall.